If you come across the stoicism term for the first time, it’s a philosophy having its roots in ancient Greece. At its core, the stoic stops worrying about the things that they cannot change and focus on those they can. Everything is a matter of perception. Some of us are stressed, overworked, addicted to something. Although these concepts are ancient, I find them very relevant to our lives. Stoicism tries to show us how we can see things differently. It is our perception of the things, rather than the things themselves that cause most of our trouble. We can’t control or rely on anything outside our circle of control. There is no point screaming at the airline staff because your flight is delayed due to bad weather. Or being mad because of the traffic. Or being jealous of a neighbour who owns more stuff. Spending our energy worrying about things we cannot change is time not spent on things we can change. 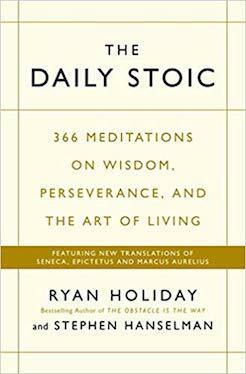 I just finished reading The Daily Stoic. I loved how relevant the content to financial independence is. 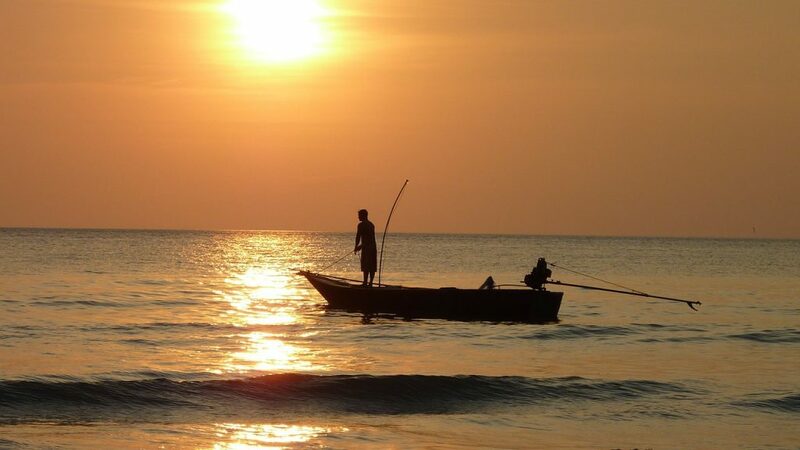 This blog – and I believe the concepts of financial independence – are about life optimization. Money is just an aspect of it. Removing the stress caused by the need to make money. Being financially literate because we don’t watch the daily news but focus on macro-events. Or “long-term news” as one article funnily put it. To know when we have enough and to be humble. So yeah… here are the main points I got from the book and from Stoicism in general. Sticking to one direction makes you peaceful. You set a path and start walking it. People will say many things. You no longer go back and forth changing your choices based on what other people say. Of course, setting a path doesn’t mean being blind. We can make adjustments as we go. Noone knows what the future holds 100%. But it’s better to be approximately right than precisely wrong. In my life, the goal is to become financially free and have the option to retire early. Working because I want to not because I have to. Without a goal I feel I’m wandering through life without a map. But to be able to take direction and stick to it, I need to have my end goal in mind. The 7 Habits of the Highly Effective People book says the same thing. Whatever you do, start with the end in mind. You don’t know the exact path to your end, but you know where you’re going. But setting a goal is not enough unless you ACT. Create that investment account, start saving some money and take action. Long shots are just little shots that keep shooting. Where we are today is the sum of small individual choices we’ve made in the past. Where we’re going depends entirely on the small choices we will make from now on! We don’t have to have an opinion about everything. It’s ok to say “I don’t know”. Sometimes our ego is hurt when we say “I don’t know”. I’ve done it before, and I’m sure you have done it too. Especially, if asked by people that admire us and expect a great answer. But as stupid as it sounds, the true way to learn is to first accept we don’t know. Only then we can start not only conversing with another person, but actually listening to what they have to say. After all, there’s always someone smarter than us, who has a deeper knowledge of the subject. Usually, this is more evident in books, where the author is expert at one particular topic. But to pick up the book, we have to stop judging by the title and stop thinking we know it all. Same goes for being wrong sometimes. It would be shameful to have an opinion about something and never change it in the future. We move on, learn and change if needed. Why then defend our past opinions like crazy? Bottomline: If you want to learn, set the attitude aside and start being humble. Does this mean we shouldn’t plan? Nothing can beat a trained mind that is prepared to change. A trained mind forms a plan and prepares for what comes next. A flexible mind not only follows this plan but adapts to change when problems arise. 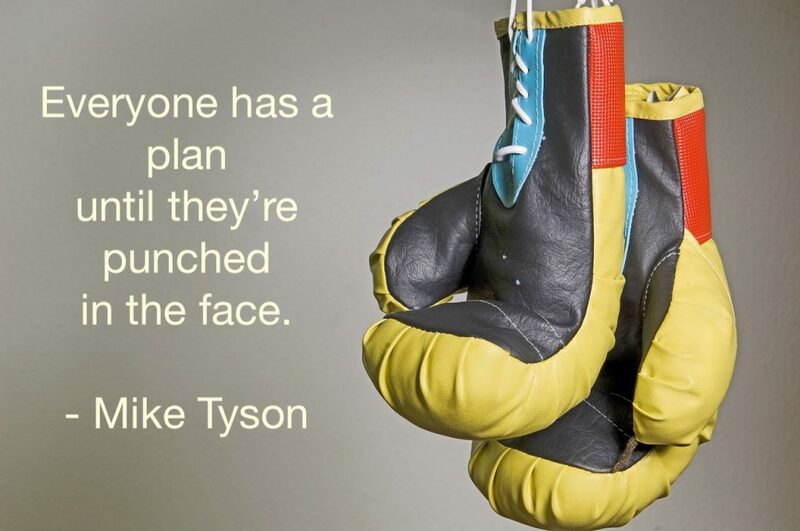 Tyson quoted this after the famous match with Holyfield. Famous because he bit his opponent’s half ear off. But Tyson lost the match. Holyfield had a smart fight plan and changed it during the game. We shouldn’t let a punch in the face defeat us. A plan will not save us. Flexibility will. Creativity and independence will. Stoics don’t have the answer to everything and certainly, they cannot plan for all possible scenarios. But instead of waiting for solutions, they adapt to the circumstances. How? By being creative, (financially?) independent, and having a doers attitude. Our society is structured in a way that makes us want everything. Job success, family, free time, travelling. Are we too busy chasing too many things? Decluttering helps us to give space to those things that matter. We keep thoughts for too long. I recently heard that every decision you make you need to ask yourself. Will it matter in 10 days? What about 10 months? What about 10 years? Suddenly the burden of making the right choice is put into perspective. There are only a few choices that will dramatically impact your life and yet we worry about every single thought. Not worth it. Mental decluttering, in my opinion, is easy to achieve if you start saying no. Rejecting some social interactions that don’t matter, gives room to accepting activities that do matter. I guess this not only frees up time but also allows you to make your own choices about how you want to live. 5. Everything comes at a cost. Practice self-awareness. Do we own an expensive car because we need it or to impress other people? What is this costing me? There’s a lot we’re paying without even knowing it. Even free stuff come at a cost. The cost of storage, or if digital, the cost of our privacy. An uploaded Instagram photo gives all rights to Facebook. We pay a free YouTube video by giving away our personal information about our tastes only to be served a relevant ad the next time. Even wealth and being rich comes at a cost. Sometimes the cost of freedom. Travelling to different countries for work, working long hours, attending pointless meetings and events we don’t like. I could go on forever. I believe the Stoics don’t mean “Don’t you dare get rich”. What they mean instead, is have the self-awareness to know whether you’re being in control of yourself, or money is. When having a lot of money, spending is easy. Anyone can do it. But living in the same house since 1958 (Warren Buffet) when you’re a multi-billionaire? Driving the same car? How easy is that? You see the irony here! Although most of us behave like the investment banker here, we should take a moment and enjoy our time on this planet.